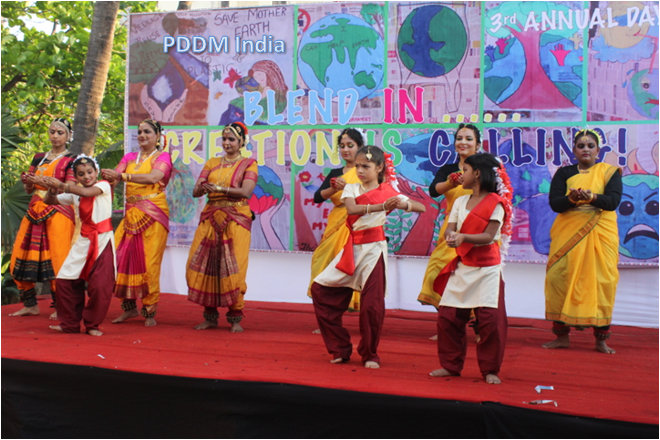 PDDM India: On the 23rd of February 2019, staged in the open space at Prathnalaya by the seaside, this current curricular year came to an end with the appreciation of efforts put in and results drawn out. The audience included, excited family and friends, eagerly waiting to see the performance of their loved ones. Our Chief Guest, Sr. Thelma, currently the manager of the Carmel Pre-Primary School and Our Guest of honour Mrs. Regina Rodricks, the ex-Headmistress of St. Aloysius School. Both were welcomed by students and parents amidst a lot of cheering. The event began with our dance students offering floral tribute to our God and Creator followed by the yoga students displaying a few postures enhancing the prayer mood. A two minute silence was observed as a mark of respect for the martyrs of Pulwama. As the program proceeded the Chief Guest and Guest of honour were felicitated and honoured. The evening continued with a brilliant display of talents in the fine arts.